Teaching English in Costa Rica - The first day of a new job is always filled with anxiety. You want to make a good first impression. You want things to go smoothly. You don’t know exactly how everything will play out and are terrified of making a mistake for fear of repercussions. Most of the anxiety comes from not knowing what is going to happen. Let me take the opportunity to defuse all of that anxiety for you. In the ESL world, there is absolutely no need to worry about your first class. Your superiors, colleagues and students all know exactly how it’s going to go: badly. This doesn’t mean anything. Almost every teacher’s first ESL class is a regrettable one. No one is judged, loses a job, or is placed in a certain category after their first class; having it go poorly is what is supposed to happen. It is what you take from your first ESL class experience and how you apply it going forward that will make or break your fate in the business. This doesn’t only apply to those without prior teaching experience. A common thought among former high school or elementary school teachers is that their experience will automatically translate into instant success in a foreign ESL classroom. This is not normally the case. Teaching ESL is a different animal than teaching other disciplines and there is a steep learning curve just like in any other platform. I’ve had many conversations with very experienced teachers about their shock at how inept they felt in the ESL classroom. While there is something to be said for having the experience of standing in front of a group of people and instructing them on a topic, the experience of having that group of people not understand the words you are saying cannot be paralleled. 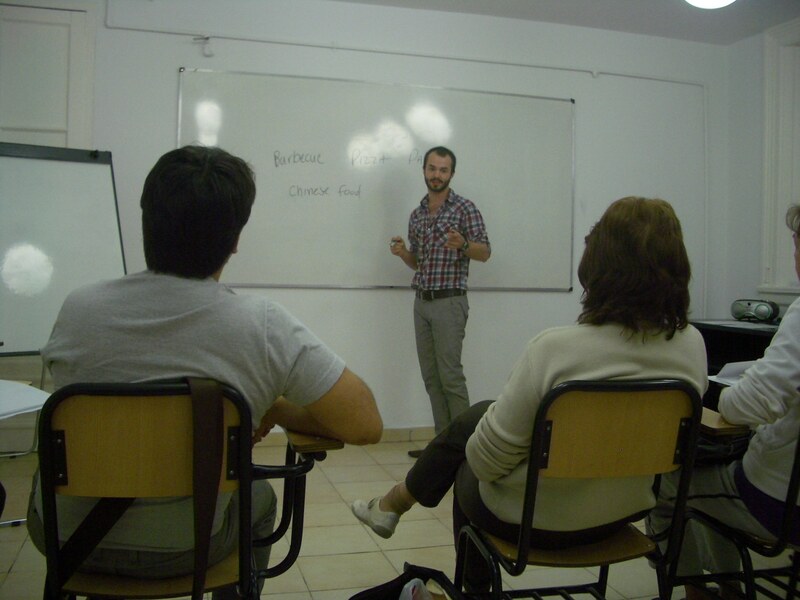 Teaching English as a foreign language involves a much different skill-set than teaching any other discipline. The ability to convey meaning without the use of words requires practice and a lot of patience. In this light, those with previous teaching experience and those without are in the same boat in terms of ESL teaching. In some cases, those without any teaching experience are actually better off. It is natural to take what you have learned in a career and apply it to another position, but in many cases that doesn’t correlate well in the context of ESL. Experienced teachers who try to force-feed tested approaches from other platforms often don’t find a lot of success. Teachers who are completely new to the field and are starting from square one can find an advantage in that they have nothing to compare ESL teaching to. Where should I sit in comparison to my students? Should I sit at all? Will this activity be effective? Will they all understand it? What’s the present perfect structure again? There is so much to remember in the beginning. Most of the focus in the early going is on these essential aspects of the class – and those with a TESOL or TESFL certification will know that everything from eliminating physical barriers to where students physically sit is as big a part of the class as any. This is why it takes some time to acclimate and to create your ideology as a foreign language teacher. Once this happens, you can go on perfecting your craft and delivering even more dynamic classes. Just don’t be nervous about being bad at the beginning. Everyone knows that already. Is it Hard to Make Costa Rican Friends? A Pet-Owner’s License in Costa Rica?